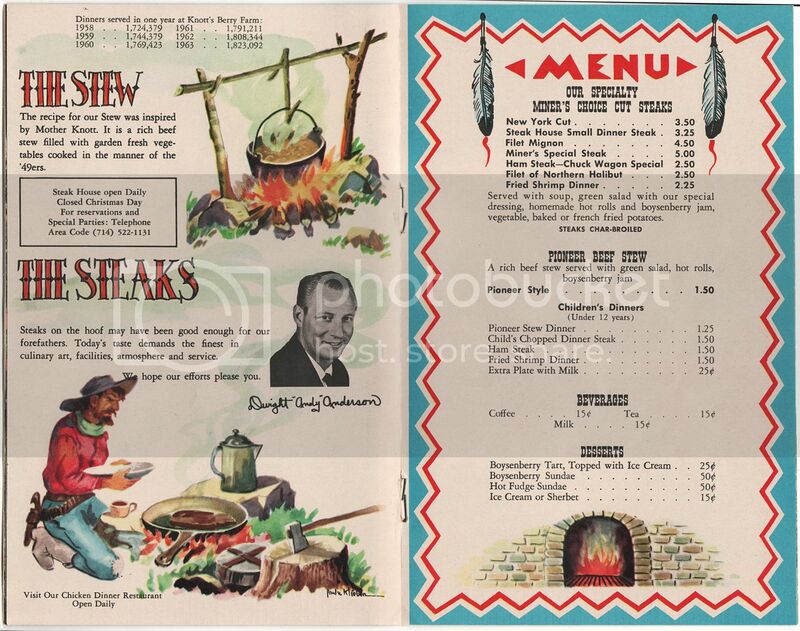 Original Knott’s Berry Farm Souvenir Booklet for the “Steak House in Ghost Town.” Great cover graphic of a young lady in an Indian Chief headdress. Measures approximately 5 1/4″ x 8 1/4″. 14 pages. I have not photographed them all, and one page includes the menu and prices with the most expensive meal being the New York Cut at $2.75 which “includes everything”. This was a booklet made to be mailed and the back cover has a place for mailing address and a stamp. There is some slight browning from age, otherwise this brochure is in great shape! Categories: MISCELLANEOUS, MEMORABILIA, PAPER PRODUCTS, MISC. 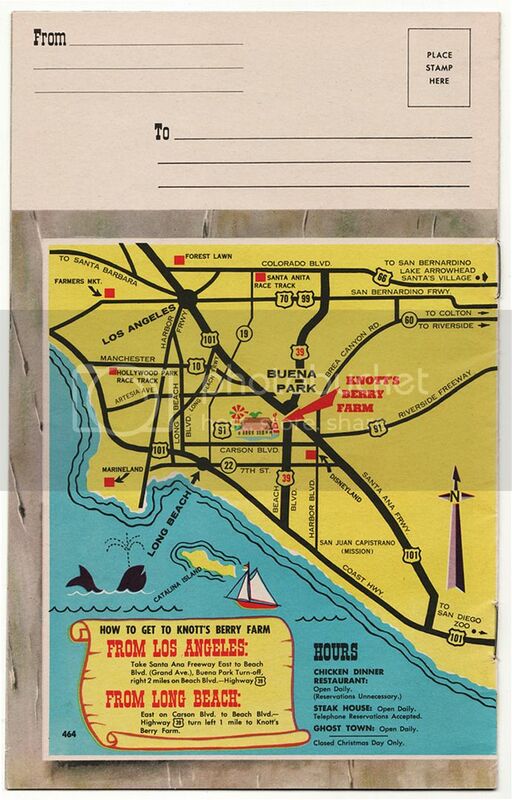 Tags: Knotts Berry Farm, vintage menu. 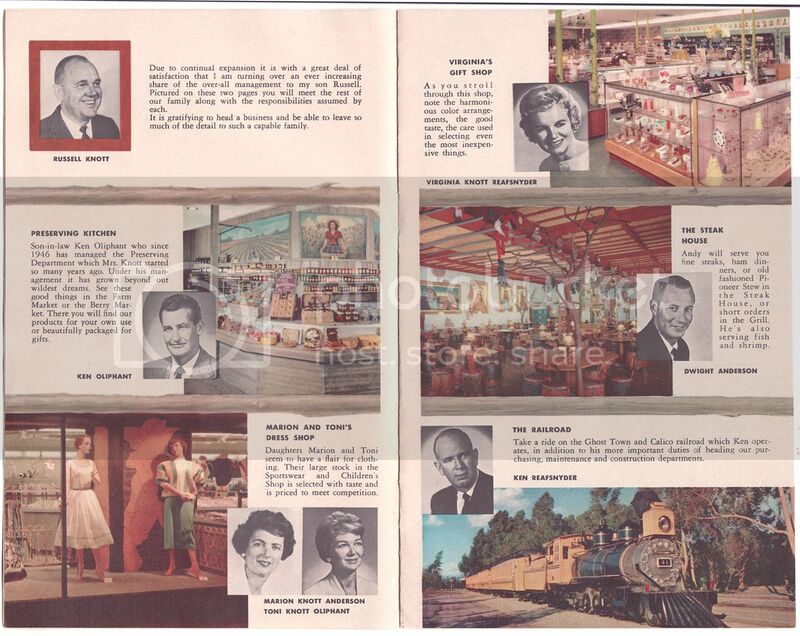 Be the first to review “KNOTT’S BERRY FARM Souvenir Booklet (1964)” Click here to cancel reply.